Check, Check, Chhh….. | Meghan Kelly Teles! ← Committing to New Goals in WRITING! A few new goals have been checked off and a few haven’t even been started. Let’s start by reflecting on the good news! 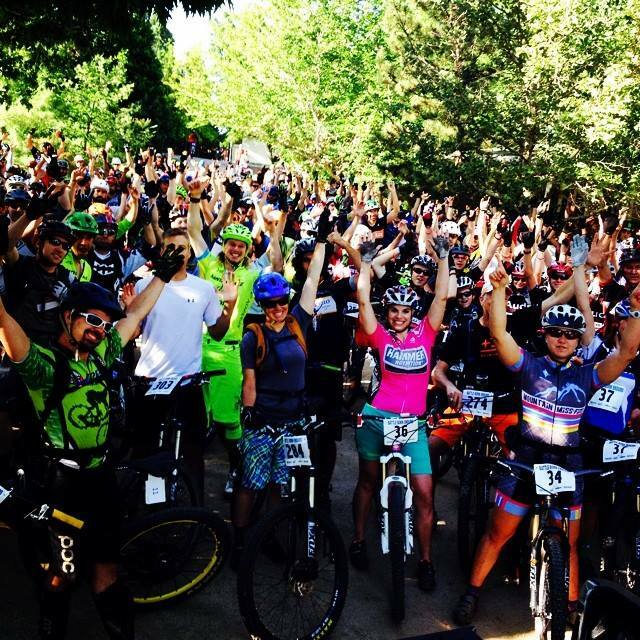 Goal #1: Race in an Enduro Race. I did this! 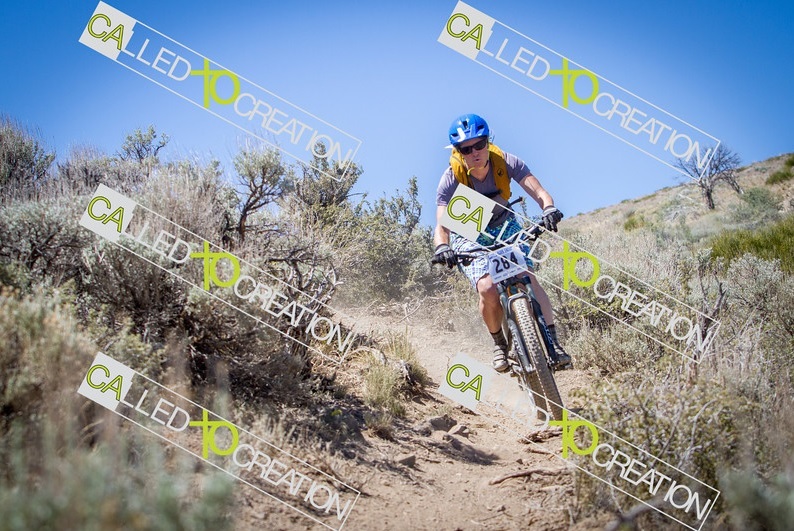 This past Saturday I participated in the Battle Born Enduro Race in Reno and placed 3rd overall in Women’s Sport. I was terrified heading into this race. I don’t have a dropper post. I didn’t understand the format. But, once I started riding all this went away and the race was kind of like riding with 400 friends. It started with an 8 mile climb which I was happy to get out of the way having climbed Mt. Shasta the previous day. I nonchalantly waited in line for stage 1 once I reached the top. I told the guy I was about to shred the course and then took off when they said “go” 30 seconds after the nice kid in front of me. 15 seconds into the ride I crashed… hard! Like the kind of crash that happens so fast that you didn’t know you were crashing until you sat up with broken sunglasses, a jacked up bike, and blood dripping from your knees and elbows. Stunned, I spit out some dirt and started riding trying to keep space between me and the competitor behind me. Yep, not a great way to start a race and I’m pretty sure it affected my mindset the rest of the day as I thought “do not crash” on the next 3 stages. Anyway, I learned to let more air out of my tires and wear my fricking knee pads! I’m also toying with the idea of signing up for another race, mostly because I’m feeling competitive and want to do better! Here is a write up on the race and the results. Front and center at the start of the race for this photo! Looking reasonably strong 10 seconds into the race. 5 seconds from now, those sunglasses would be toast! Goal #2: Ski a new volcano. I did this just 2 days before racing the Battle Born Enduro. Wednesday afternoon, I left work, bee lined to Bend accompanied by my friend and fellow Nature’s Bakery Ambassador Will and met up with my friend Ashley to ski the South Sister. We got a leisurely start on Thursday around 8 AM from the North Cascade Hwy. Will and I were amazed at how much snow was still present at just over 5,000′. We knocked out the 5,000+ foot climb on beautiful warm and windless day and found ourselves at the summit around 1 PM. 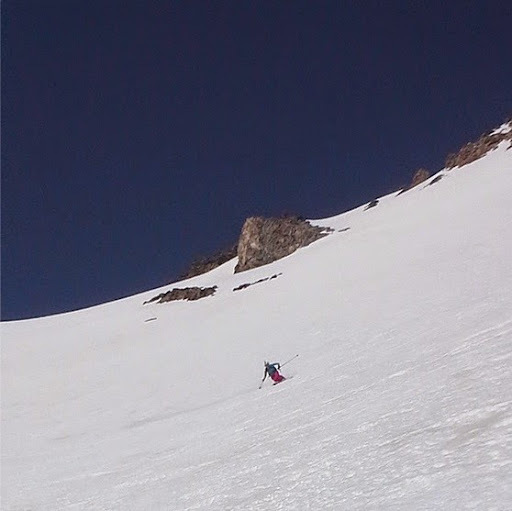 We had scoped a smooth chute on the way up and took off towards it skiing perfectly smooth corn for over 2,500′. That put huge smiles on all of our faces. This was my 99th day of skiing in the 2013-14 season… I had skied 100 days a year since 2008-09 and was eager to keep it going! Shasta would be next! So prior to racing my mountain bike on Saturday, I’d hike and ski over 12,000 vertical feet. Sure enough, I was exhausted Saturday morning, but I raced my bike and also sailed on Lake Tahoe. I can rest in my office chair on Monday. We skied a chute you can’t really see here but Ashley is stoked anyway! 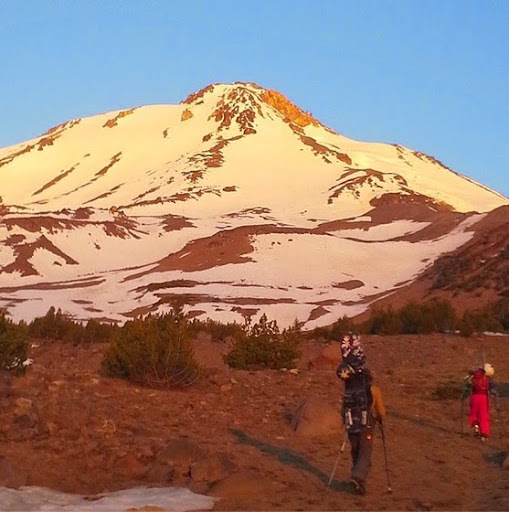 Here’s a little video clip of the perfect corn we found on the South Sister. Tim finds some great California corn! Will B ready to take those snow fingers as far as they’ll go. So goals are getting checked off, but I still have quite a few to go. Setting and achieving goals, however arbitrary they are, is incredibly satisfying. However, failing or knowing when to hold back is a valuable lesson we are taught many times in the mountains and only by making an attempt do we continue to be students of life. June is rad so far, but I better get to the pool tonight if I want to have a chance at this Teton Picnic thing!